Scaleauto is still slowly offering its novelties for this 2019. 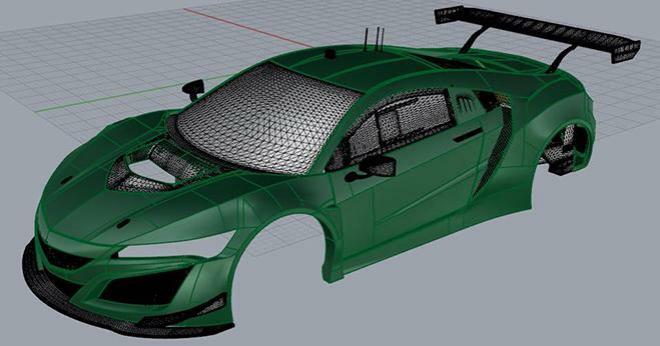 And yesterday announced a new scale model 1:32 for slot, another component of its Gt3 range, the Honda NSX GT3 2018. A new member that adds to the list of the category most competitive of Scaleauto and that is in the process of development. The brand has made public two images of real models that already give an idea of the versions that are going to be commercialized. On the one hand the Honda NSX GT3 of the 2018 24 H of Spa, with a livery that already marked the tendencies of retro sponsorships when recovering the colours of Castrol, a collaboration between Honda and the oil company that goes back to the sixties. And another image corresponds to the Meyer Shank Racing Team car of this year 2019 IMSA. We will be attentive to the development of this model and its commercialization dates.